People looking for Painting Stations and Paint Racks now have a new web address that takes them directly to those items on the GCmini store. PaintingStations.com is the new address to goes directly to what you are looking for. Of course all of these items are still available via the GCmini store website with just a few clicks ... but this new domain just makes the journey there a bit shorter. 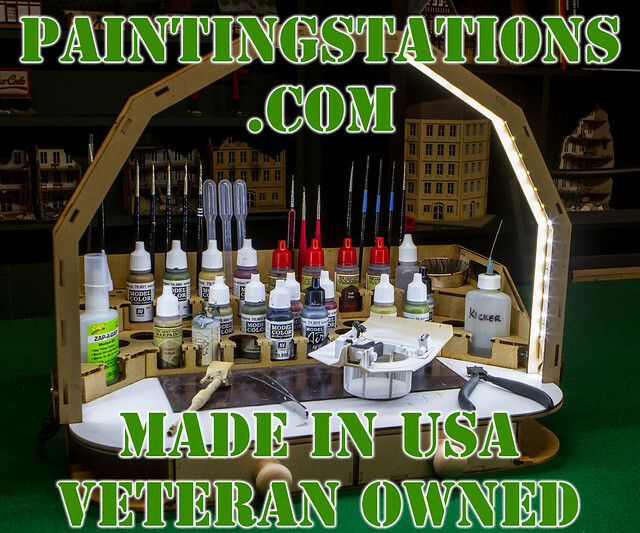 GameCraft Miniatures (GCmini) has been producing Painting Station, Paint Racks, and other workbench accessories for many years and has an extensive line of products to help you keep your workbench organized. This entry was posted on Monday, November 5th, 2018 at 15:11 and is filed under News. You can follow any responses to this entry through the RSS 2.0 feed. You can skip to the end and leave a response. Pinging is currently not allowed.